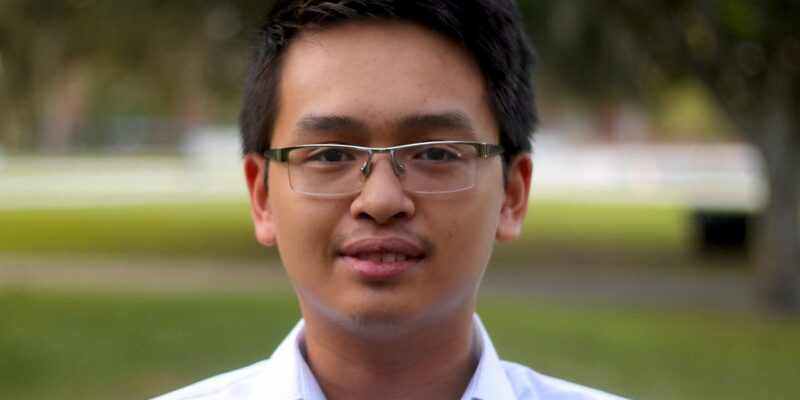 Editor’s note: Quan Nguyen is a University of Florida student who arrived on campus shortly before PBS began airing a 10-part documentary on the Vietnam War, and WUFT featured more than two dozen American veterans’ experiences in that country. 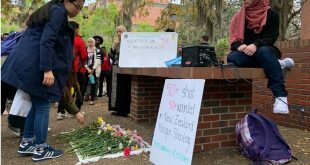 Just as they now call Florida home, so does Nguyen, and he wanted to share his family’s perspective on their country’s conflict and its aftermath. See more from our series Florida Voices: Vietnam Veterans. And there lit the incense on family altars and firecrackers out in town, with Vibrant Qilin Dance, fully blossomed apricot trees, and red enveloped lucky money. Still, the main spirit of the Vietnamese Lunar New Year— Tết Nguyên Đán or the first day of the Vietnamese calendar—is the family gathering. Next Tết is Feb. 16, 2018, and for me, a Tết in Florida without family. But it’s the Tết celebration in 1968, or more widely known as the Tết Offensive, that recently struck me with terror as I read what Vietnam War veterans — and especially ông ngoại (my grandpa) — had endured that year. My identity is tied to one of the most notorious wars in America’s and Vietnam’s histories. My biological grandfather didn’t serve in the war. On my father’s side, my aunt-in-law’s father — whom we love endearingly and call “grandpa”— was a Viet Minh soldier fighting on the American side. Having spent six years in re-education internment after the fall of Saigon, he built a new life after taking part in a 1994 United States-led refugee evacuation. There were other refugees, known as Vietnamese boat people, who left everything behind to seek a new life in America. Scarred by the war, Vietnamese immigrants have actually looked past those difficult days to the one thing that they cherish most: family. 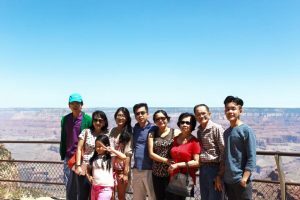 Grandpa recently achieved his lifetime wish, with many of his relatives in 2014 finally joining him in the United States. A new life is not a passport out of struggle. Vietnamese immigrants face prejudices and discrimination simply because of the color of their skin and English deficiency. According to my aunt, another issue crops up for her friends and relatives who come here with self-esteem on finding a career, as most certificates or degrees earned in Vietnam were either lost or invalid here. All must start from scratch. A depressing pattern of unemployment for Vietnamese immigrants led many to turn to their ethnic prowess or specialties, giving birth to the empire of nail salons and phở restaurants in the U.S.
Ho Chi Minh City at night. Like my uncle’s family, I was born in Ho Chi Minh City — once known as Saigon — in a middle-class family that has lost lives to wars and cancer; we put relationships above everything else. Most of my relatives call medical schools and hospitals their second homes. They taught me what to put down on job applications when asked for a family emergency contact: “Doctor,” as there are so many in our family. In early 2015, our family moved from Ho Chi Minh City to Tacoma, Wash. My father works for J.M. Smuckers and my mother, once a pharmacist, is now a flight attendant. A break from the family trend rings a fateful call of audacity to me. It’s atypical and expected for Vietnamese children to grow up becoming doctors, teachers or businesspeople, but not for a child who was mesmerized by the evolution of a TV box that uses an antenna to talk and create motions. And so, last month, I left my family for Florida in pursuit of an education and career in the newscasting and show business. The Vietnamese academic system centers on memorization and efforts that let the majority explore their geniuses in math and science, but rarely in liberal arts or communications. In other words, there is little in the way of inquiry learning. 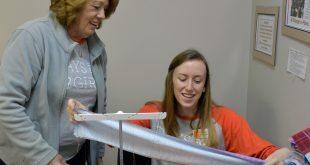 Education in the U.S. surprises me with cutting-edge technology and infrastructure, as well as the country’s political and entertainment dynamics. The freedom of expression in America allows for a plethora of theories and versions. In Vietnam, making a difference or influence takes a back seat to set objectives or principles, ranging from a single right answer in the classroom to stability and uniformity in society. 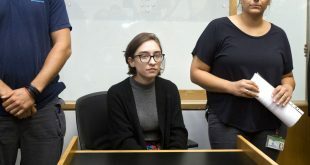 Also, in a war-ridden country like Vietnam, the quirk is that the war doesn’t have much bearing on young people’s lives; their priority is a decent living, and preferences are Western or Korean lifestyles. Vietnamese students approach the magnitude and density of history from fourth grade onward and follow along a rigid and prearranged education system. 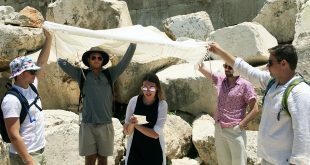 But it takes more than lectures or museum trips to jump in and experience the mud of poverty and sufferings that engender an appreciation of history. 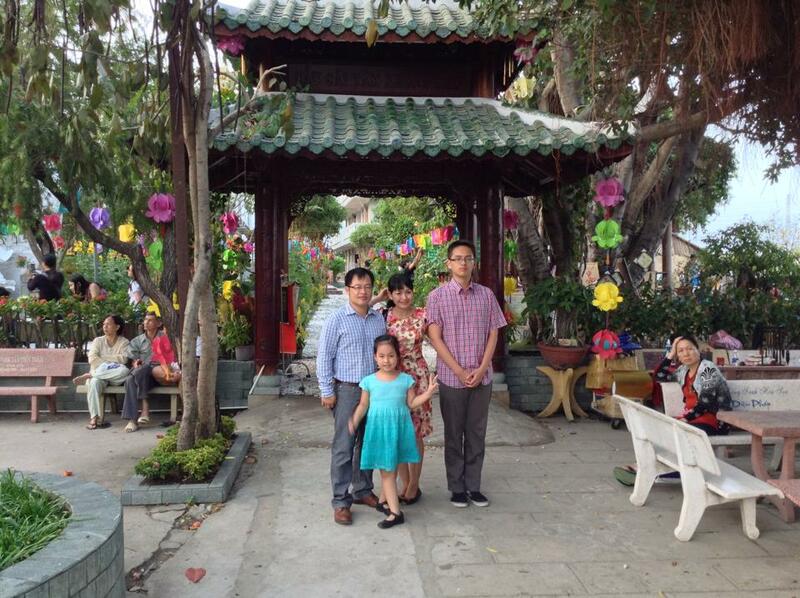 Globalization does come as a remedy for Vietnamese to present themselves and their home country to the world, much as what my parents do regularly in their jobs. Dissension was inevitable, and some would challenge Communism vehemently for the mandarin of the last Vietnamese dynasty, Nguyễn Dynasty, and then the Prime Minister of the State of Vietnam Ngo Dinh Diem. His 1963 assassination didn’t only escalate conflicts into a civil war but also attracted international attention. In the South, people had more access to international news on radio and popular ballads and mourned the sadness of war—perhaps reflecting their ambivalent attitude and disagreement with the new Communism. That attitude still pertains to conversations within some Vietnamese communities in the U.S. These are Southerners who decided to escape the corollary of war and flee a nation at loggerheads with the victory and post-war oppression. Some vengeance was egregious but, just as after the U.S.’ own civil war, when Miss Scarlett O’Hara viewed the victorious Yankees the same way, most eventually mingled into a new life. 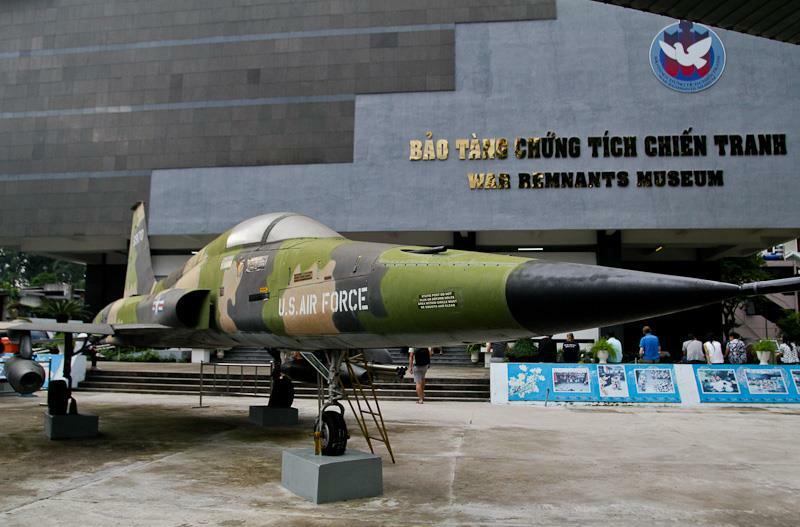 The War Remnants Museum in Ho Chi Minh City. With increasing foreign investments and Western cultural influences, what was once an impoverished, war-devastated society is now a modern, developing nation. 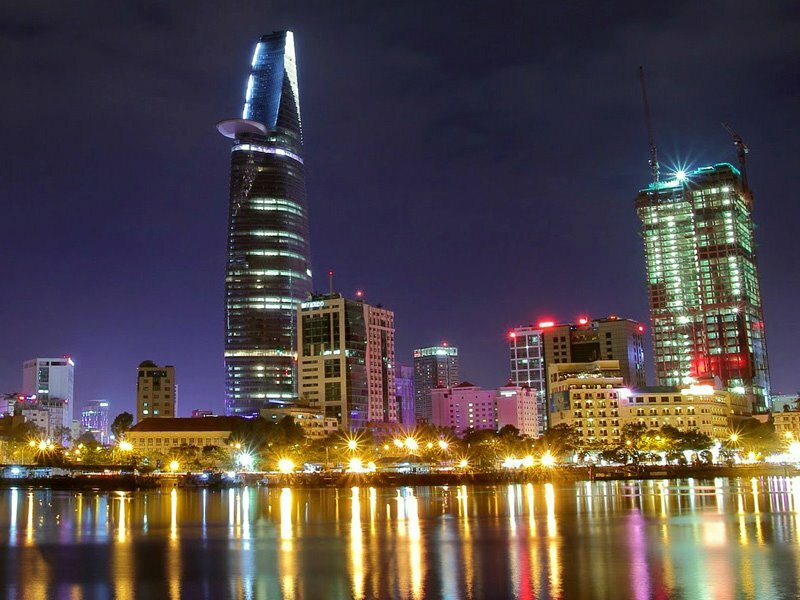 Today, Ho Chi Minh City, also known as Saigon, hosts a diverse and large population. More than just Northerners and Southerners, there are 54 ethnic groups, not to mention foreigners who decide to settle there. City landmarks such as the old Independence Palace, French colonial city hall, and war museums received fresh coats of paint and revamps. On national holidays, Vietnamese flags — red banners with a single gold star in the middle— wave from pole after pole along busy streets. With skyscrapers growing like mushrooms after a rain, vast numbers of motorbikes surge through streets. Not many Americans know Vietnam today bustles with life and energy, and it largely welcomes visitors with open heart and mind. But behind the bright façade are pains that shriek from bones and minds inside, there are those that are rarely or simply cannot be physically expressed. There are disabilities. There is bereavement. 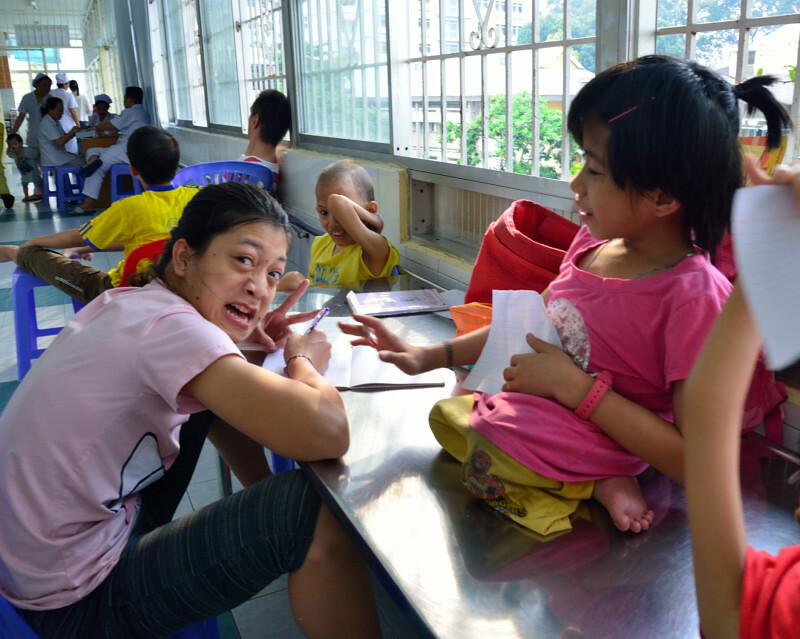 The reality— of deformities and sufferings— is dire for quiet lives left behind. Deadly herbicides that the U.S. troops sprayed over Vietnamese lands and villages cannot be fully understood, unless you directly observe and become part of the battle that these innocent second and third- generation Vietnamese have fought decades after the Vietnam War: the effects of Agent Orange. It didn’t take long before I became aware of this skin-crawling history. My heart sank on school trips to dioxin hotspots and gynecological hospitals. Spina bifida, Downs Syndrome, cancers and immunodeficiency, severe physical deformity, and the list goes on. But one sight — of spine curvature disorders, paralyzed muscles or missing body parts — remains in the memory as fresh as last night’s nightmare. A few of the children at Tu Do Village, a center for those suffering the effects of Agent Orange exposure. Still, it was more powerful to see how despite the difficulties they face on a daily basis, the kids were happy and excited to welcome newcomers and volunteers to their safe havens. Laughter ricocheted around the rooms I visited, but slight moans and whimpers besieged the air and made my heart thud inside my chest. These children’s determination — to independently perform daily tasks and become helpful citizens to society — instilled a philosophy in me. Don’t blame and complain how difficult life is because there are always people who are in worse conditions than you. In the face of misfortunes or challenges, own them the same way these inspiring individuals own their sufferings and detriments from Agent Orange, and find ways to overcome them. Nguyễn Trung Đức, a 15-year-old with a child’s body and an old man’s face, shared with me that he would own a floral shop one day and help people enjoy their lives with flowers the same way flowers had eased his pains. He acknowledged friends who didn’t receive such privileged care, didn’t have a family, or didn’t make it through the war. I was mindful of global efforts on cleaning up contamination and unexploded ordnance and joint hand with foreigner doctors and veterans to help rebuild villages, shelters, and clinics for these victims. From those who once carried armors, weapons, and gunpowder, I could feel their hearts of flesh in such peaceful and reconciliatory times. The children now have their own dorms, staff that take care of them, athletic and recreational facilities. They attend regular classes and even vocational training such as sewing and floral arranging. Altogether, they make joy and optimism in these villages larger than their sheer anguishes and defects, and they are larger than life. The only lesson that will ever be learned from those bloodiest and darkest days is a personal one. The veterans knew before leaving the U.S. when they were scheduled to return. They were at first excited to be in the war zone. They looked forward to engaging with the enemy. All of a sudden, the sand clock got clogged. Enthusiasm waned in the rise of bewilderment and reluctance, and they left with scars of engagement and withdrawal deeper than their own injuries and losses. When it comes to a two-decade controversial war, the description is an endless jeremiad, but the result is short and simple: nobody won. To err is human; to forgive is divine. All must come to say the war is over. Despite other wars that the U.S. is involved in, and even Vietnam today is on edge about border skirmishes with China, all must look to peace and the better angels of our nature. Let’s bring the conflagration, which burnt houses to ashes, down to a small flame that boils the Tết cakes bánh chưng and breathes the refreshing spirit of spring into households. Let’s create cures out of chemicals but not the chemicals to kill. And let man count those they care and those they love, not those they hate, and, as before a New Year, count the time wearing on until hate becomes love. Quan Nguyen, right, and his family. 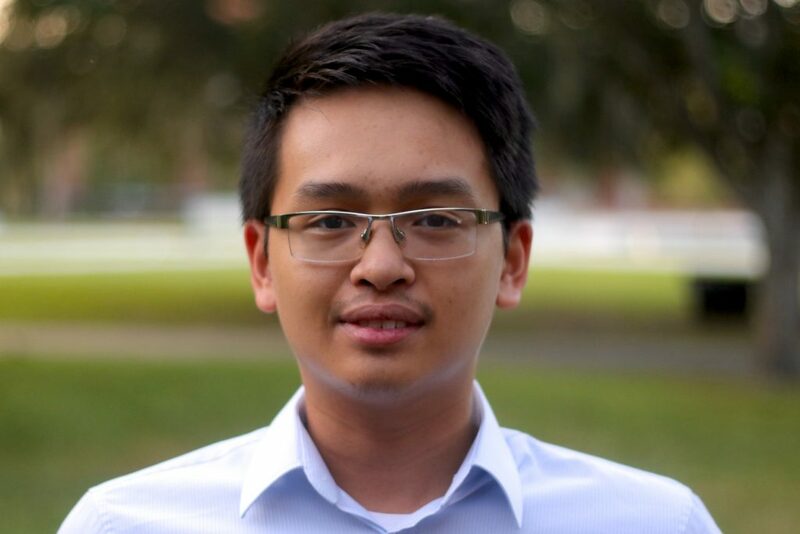 Quan is a reporter at WUFT News who can be reached by emailing news@wuft.org or calling 352-392-6397. Even to this day the communist regime in Vietnam is still adamant that it was necessary and acceptable to systematically discriminate against the ethnic Chinese and small business people in South Vietnam resulting in their deadly mass exodus by boat. They fail to see a connect between Nazi’s crimes against the Jews and their own against the people of South Vietnam.